Did you know the first press release was written by Ivy Lee in 1906? It was written in response to a Pennsylvania Railroad train crash that killed more than 50 people, and Mr. Lee had the company issue a statement about the tragedy, giving the company control of the story. This was seen as a revolutionary step in the way organizations communicated their stories to the public. One-hundred-ten years later, the press release is still an effective tactic for companies to communicate to their publics, allowing them to control the stories that affect the brand. Some would argue that in the age of digital and social media, the traditional press release has become irrelevant – that companies can release the same information through various social media channels and maintain control of the message by not having to put it into the hands of journalists. This is a very shortsighted view on the power of the press release. Used strategically, it is still a powerful part of an overall public relations/marketing campaign. 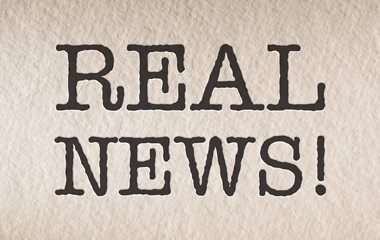 A press release is a tried-and-true tactic for getting a company’s news out to the public. Organizations use press releases to tell their brand stories in their own words. Issuing a press release allows you some control over the message by setting the tone and content, reducing the chances of erroneous reporting. Timing. A story must be current to be considered newsworthy. Uniqueness. The more unusual or interesting the story, the more newsworthy. Significance. A significant story is a newsworthy story. Proximity. The closer a story is to home, the more impact it has and the more newsworthy it is. Personal impact. Stories about people that evoke strong emotions are considered newsworthy. One thing a press release should NEVER be is a sales pitch. Do not try to sell anything, and avoid marketing jargon and fluff. Telling a story with a positive tone is not the same as making a sales pitch. Focus on the story and what makes it unique. For a press release to be effective, it has to reach the intended audience. The advent of digital and social media has given organizations direct access to a larger audience, increasing the reach that stories can receive without going through the media. This reach has led some to believe that disseminating a release to traditional news media organizations, individual journalists or over wire services is no longer effective. This is flawed logic. The proliferation of the self-publishing movement through social media is simply another distribution channel for the press release. While it is true that companies have a greater reach than ever before, a well-written press release that is covered by trusted media will extend the reach of the story to audiences the organization does not have access to. This reach is the underlying reason press releases are still very effective. Traditional and modern distribution channels can, and should, be used in conjunction with each other to get the best reach for a story. To be successful through any channel, the release has to be picked up by the right audience. When sending to the media, direct the release to the individual reporter whose interests or beat align with the story. If sent to the wrong contact, the story is less likely to get picked up. Apply similar targeting tactics for social media channels – be sure to use the platform that best fits the purpose of the story, and has the audience that will have a direct interest. The success of a press release hinges on the details. Most journalists will use a press release as a starting point for their own research for a story. However, some will publish a release as is, so it needs to be written like it is going to be published. The beginning of the press release is the most important information of the story. It needs to hook the reader with a strong headline and encourage him to continue reading or follow up for more details to create a news article. Journalists look for well-organized releases that immediately cover the five Ws – who, what, when, where, why. Use this section to convince the reporter that he wants to run the story. When writing the release, keep in mind that if it is published as is, but must be shortened, the editor will most likely cut from the bottom. Important to a press release’s success is the writing style. All releases to the media must be written in The Associated Press (AP) Style. 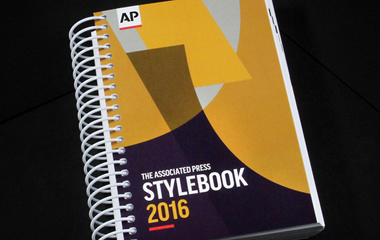 It is a very specific style of writing used by media, and there is a regularly updated stylebook that serves as a guide for anyone writing for the news. Equally important to the writing style is the cleanliness of the copy. Successful press releases are free of any grammar, spelling or punctuation mistakes. Proofreading the release is the most important step in the development process, because if the release has errors of any kind, it risks rejection by reporters. Visual and interactive elements accompanying a press release offer more engagement opportunities for readers, leading them to additional information beyond the release. Make the release more visual by including videos, infographics or interactive content when possible. Be sure to include links back to your website or social media accounts to encourage readers to learn more about the story or the company. Contact information for the person within the organization to contact for more details. A strong headline/title that succinctly expresses why the story is important. The dateline that includes date, city and state. The body of the press release with the story details. The closing “###,” which signals to journalists the end of the story. A brief description of the organization releasing the story, called the boilerplate. A press release offers the perfect opportunity for you to tell a story or disseminate a message in your own words. Whether as a single announcement or as part of an overall marketing campaign, a well-written press release distributed to the right audience can have a strong impact. The evolution of digital media has added to the effectiveness of a press release by increasing the size of the potential audience. Taking both the traditional route through the media and the modern route directly to audiences through social media, organizations can maximize the reach of their story. This entry was posted in Earned Media, Media Relations, Promotions and tagged media relations, news releases, press releases. Bookmark the permalink.